These pages are about type2 diabetes. Read more about the symptoms of type 2 diabetes . It's very important for diabetes to be diagnosed as soon as possible asit will get progressively worse if left untreated. Read about how type 2 diabetes is diagnosed . Read about the causes and risk factors for type 2 diabetes . As type 2 diabetes usually gets worse, you may eventually need medication usually tablets to keep your blood glucose at normal levels. It's the most common cause of Visual impairment in people of working age. Everyone with diabetes aged 12 or over should be invited to have their eyes screened once a year for diabetic retinopathy . People with diabetes are up to five times more likely to have cardiovascular disease , such as a stroke , than those without diabetes. This also minimises your risk of developing complications. Read about the symptom of diabetes, including feeling very thirsty, passing more urine than usual, and feeling tired all the time. 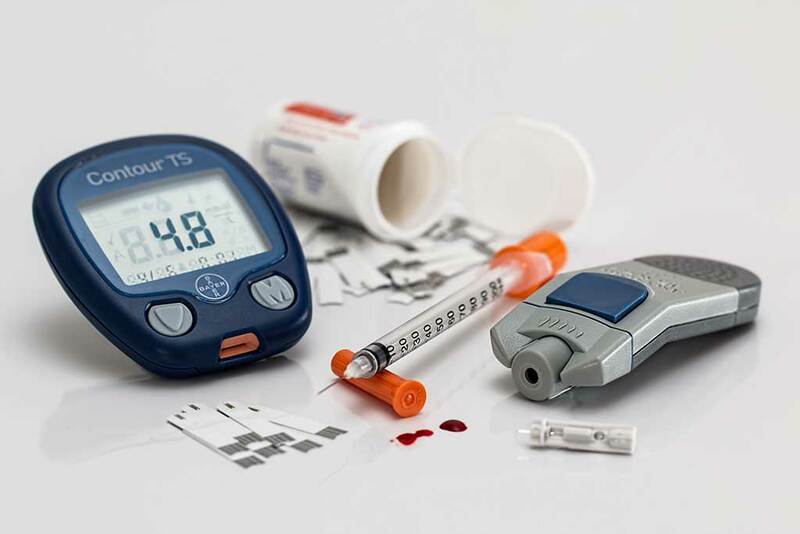 Read about the causes of type 2 diabetes, which occurs when the pancreas doesn't produce enough insulin to maintain a normal blood glucose level, or the body is unable to use the insulin that is produced. Read about treating type 2 diabetes. Find out how to keep your blood glucose levels as normal as possible by making lifestyle changes, such as eating more healthily and taking more exercise. Read about complications of type 2 diabetes. Without treatment, it can lead to a number of other health problems. High glucose levels can damage blood vessels, nerves and organs. Read about living with type 2 diabetes. If you have type 2 diabetes, you'll need to look after your health very carefully. When Charles Torkington, 54, was diagnosed with diabetes, it gave him the determination to change his diet and his life. Shafina Bibi was shocked to hear she had diabetes. But now she's changed her lifestyle and has never felt better.